The last few years SAR has only offered it’s home staging training programs online. Because I’m settled in Jacksonville now and have started establishing a new team, we are ready to begin holding live hands-on classes again. Our new classes will be similar in format to our old 3 day new home stager training program but with a completely updated curriculum, suited to today’s changing real estate market. I’ll personally be teaching at my local Watson Realty Corp office where we’ll have state of the art technology at our finger tips. Wed Start at 10: a.m. Earn your Certified home stager designation in this 3 day course. Space is limited. Call Melissa Marro (904) 466-2093 or Juliet Johnson (973) 477-7000 to reserve your seat or for inquiries. Earn your Vacant Property Specialist Designation in this three day course. Included in this 3 day add-on or stand alone course: comprehensive 100 page manual, staging business forms and contracts, access to our private Facebook community, national and local press releases, certificate of completion & Vacant Property Specialist designation logo. Lunch, snacks, and drinks included on Day 6. Already have your staging certification but looking to expand your business? 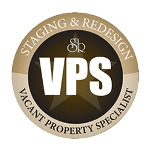 Learn the ins and outs of managing vacant staging for investors, home builders, and individual sellers. Attend days 4, 5 and 6 to earn your VPS designation. « 3 Day Live In-Person Staging Training Class: Melissa Returns to Live Teaching!